As a handgun, the Python has the greatest accuracy and damage per shot of the whole line. It also has the longest reload time, least capacity, and second highest recoil. To best mitigate its flaws, the Python should be used somewhere between medium and long distances, and paired with a reliable close-range weapon. It is not a good idea to fire quickly with the Python, as the recoil is huge; causing you to be off target. This weapon rewards patient and accurate shooters that know the trajectory of the Pistol Bullet. Has the best accuracy out of all pistols, only bested by LR-300 Assault Rifle, Assault Rifle, M249, and obviously the Bolt Action Rifle. Good at close to medium, medium-long ranges. Low bullet/clip size - 6 compared to the Semi-Automatic Pistol's 10, the M92 Pistol's 15. Has a high amount of recoil, which requires learning and getting used to. This makes it unideal for CQB fights. 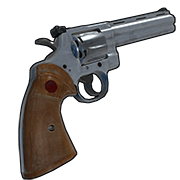 The Python Revolver is a ranged weapon that fires Pistol Bullets Pistol Bullet . 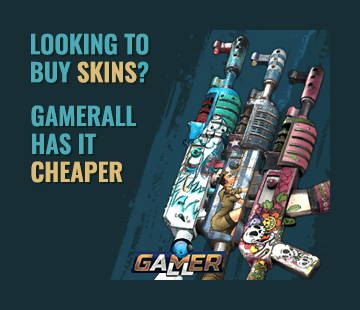 It deals more damage than the M92 Pistol M92 Pistol and the Semi-Automatic Pistol Semi-Automatic Pistol but has a higher recoil with only six shots. This is your go to weapon. You hear this a lot but the Python Revolver has an extreme kickback once fired. This weapon is a balanced revolver with mid to far range, but your chances are slim when it comes to close range. The damage is higher and is known for to be the strongest pistol compared to the M92 Pistol . If you're a good shot, this is the best weapon for you. If you're in a tuff situation, say for example. You're fighting fully geared man with a stronger weapon compared to your python, I recommend using Incendiary Pistol Bullet which will do much great damage. Good luck out there! This is my favorite weapon.